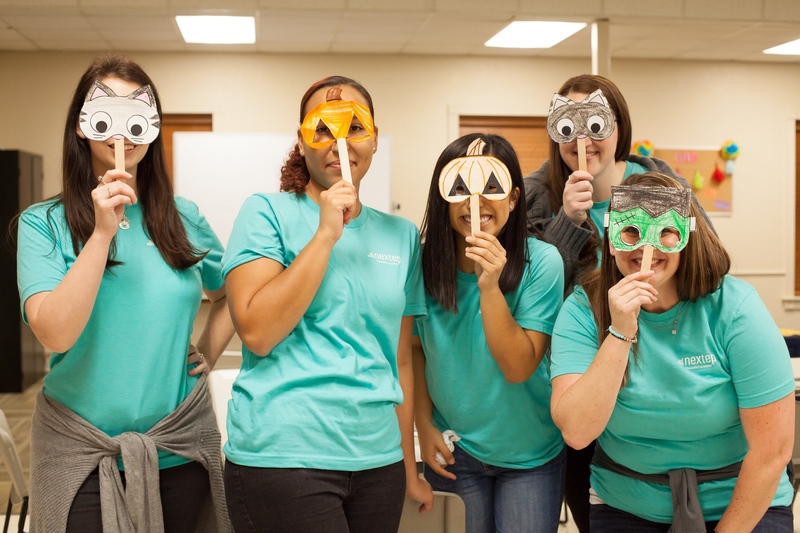 The Nextep Charitable Foundation volunteers recently lent a helping hand at the Center for Children and Families (CCFI). Brian Fayak, Nextep owner and CEO, also presented a $5,000 check to support the programs and services the center offers to the surrounding community. CCFI began as a shelter for youth in 1969 and continues to aid children and families in need across Norman, Oklahoma and Cleveland County today. Its programs are designed to prevent child abuse and neglect as well as improve social skills and self-esteem. The Boys and Girls Club of Norman joined CCFI to bring more after-school programs to children ages 6-18, and offer its members full access to all of the services that CCFI offers. In October, Nextep employees participated in these after-school programs by bringing crafts and activities, like pumpkin painting and Halloween masks to get into the fall spirit. “The opportunity to offer some holiday cheer and share laughs with the kids is as heartwarming as it is inspiring,” said Elybeth Aquino, Nextep employee and volunteer. The donation given by Nextep helps provide services that elevate youth and allows CCFI to improve their many programs such as therapeutic services, individual counseling, and recreational activities. For more information about CCFI and how you can volunteer or contribute to CCFI, visit ccfinorman.org.